Grenache is one of the most widely planted red wine varietal in the world. It grows well in hot, dry and windy climates like Agua Dulce. It ripens much later than most varietals. There are different types of Grenache; Noir, Blanc, Gris and Rose. It is mainly grown in France, Australia, Sardinia/Italy and the Central Valley of California. Most likely the grape originated from Spain during the period when the Aragon Crown ruled according to ampelographical evidence.The study of ampelography helps identify and classifies grapevines. This started in the mid 1800’s, to further study and to understand more about the different types of vines. Plus to identify vines that are resistance to disease like powdery mildew and pests such as phylloxera. 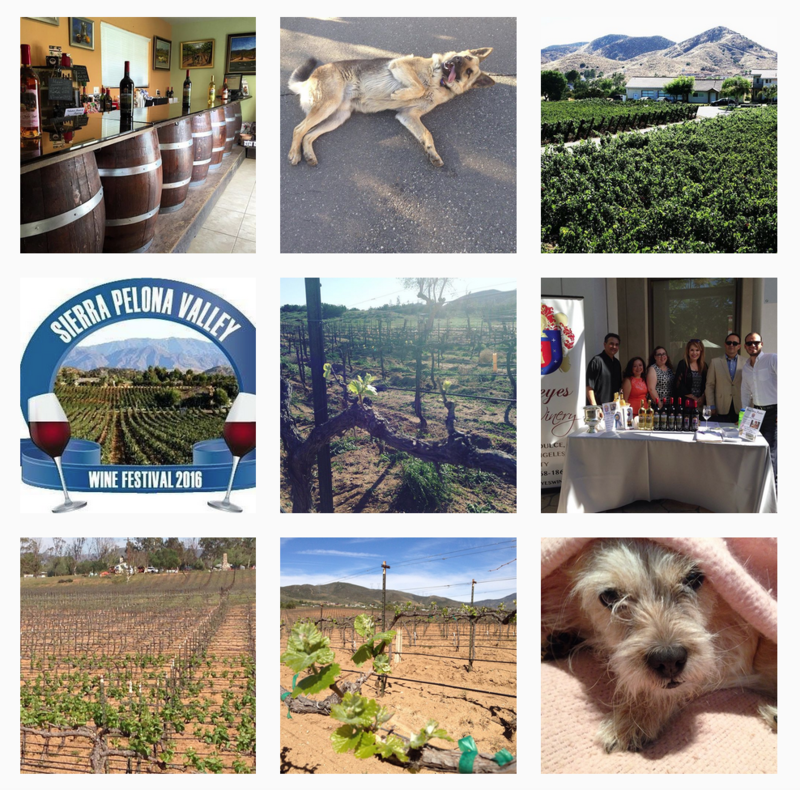 Recently I have enjoyed the 2015 Grenache, sourced from Alonso Family Vineyards in Agua Dulce. It is fabulous. It is a limited edition member only wine. It has aromas of strawberries, ruby-red grapefruits and raspberries. On the palate you will get raspberry, honey, white pepper and a bit of anise. It can be a spicier fruity wine with higher alcohol content than most red wines. This jammy wine can be enjoyed with Pollo al Chilindron (see recipe below), Manchego cheese or chocolate covered strawberries. When blended, Grenache Noir can dominate the flavors of the wine. It is often blended with Syrah and Mourvèdre in Australia and France. In the Rhone region of France, it generally is blended with most wines. Grenache Noir is the prevailing varietal of the blend, Chateauneuf du Pape. In the Rioja region of Spain, Tempranillo is commonly blended together. Grenache tends to have less acid, tannins and color. Grenache is 1 of 13 common light red wines. 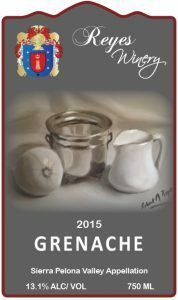 International Grenache day is Friday September 15, 2017. #grenacheday To celebrate this day, we are featuring the Reyes 2015 Grenache and Alonso Family Vineyards 2011 Juan’s Red (Grenache blend) on Ladies Night. Season the chicken pieces with salt, pepper and paprika. In a large skillet, heat the olive oil over medium/high heat. Add the chicken pieces and fry for 5 to 8 minutes until golden brown. Add the ham or turkey bacon and saute for about 2-3 minutes. Using a slotted spoon, transfer the chicken and ham to a cast iron 3 ½ Dutch oven. Reserve the oil in the skillet. Return the skillet to medium heat. Add the garlic, onion, and bell peppers and sauté for about 15-20 minutes or until the onion and peppers are translucent. Transfer to the cast iron 3 ½ Dutch oven holding the chicken. Add tomatoes, peppercorns, rosemary and Renaissance by Reyes 2013 Sauvignon Blanc to the Dutch oven and cook over low heat uncovered. Cook 25-30 minutes or until the chicken is tender. Garnish with the parsley and serve.